The alphabetical produce list on the right side of this page is your guide to the 750+ recipes. Each vegetable/fruit/herb section begins with a page on my approach to it, its particular characteristics and a list of flavors and ingredients that are particularly suited to it. Recipes and tips are written with an eye toward flexibility, giving you ideas of how to substitute one vegetable for another (onions instead of shallots, turnip greens instead of spinach . . .). scale up or down, and creatively use what’s in your pantry so that pulling together dinner can be simple and satisfying. Note: Tags like vegetarian, vegan, gluten free, etc are not used because many recipes can be adapted to suit a wide variety of tastes, preferences and needs. This page will change regularly and feature links to recipes and ideas for peak season produce and will help guide you to particularly relevant recipes on the site. This page changes frequently to feature links to recipes and ideas for peak season produce and will help guide you to particularly relevant recipes on the site. 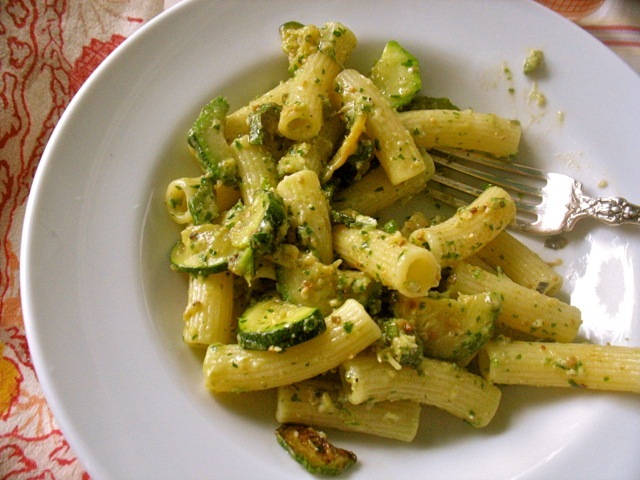 Rigatoni with Pesto & Zucchini combines to early summer favorites into a quick dinner. 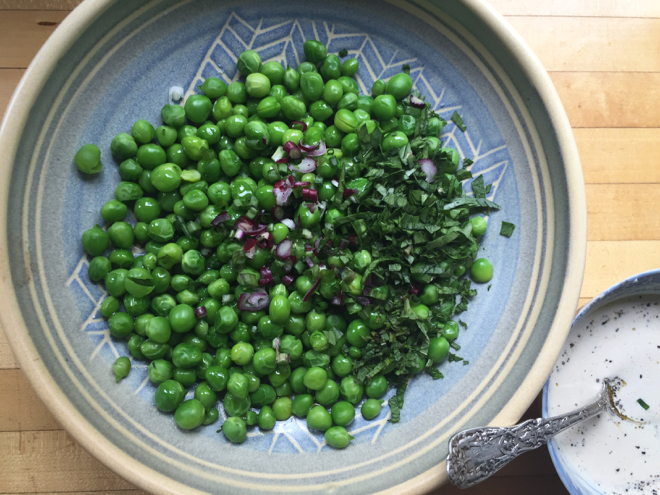 Dress peas with fresh mint, parsley and a simple tahini sauce for a delicious and beautiful side dish/salad.